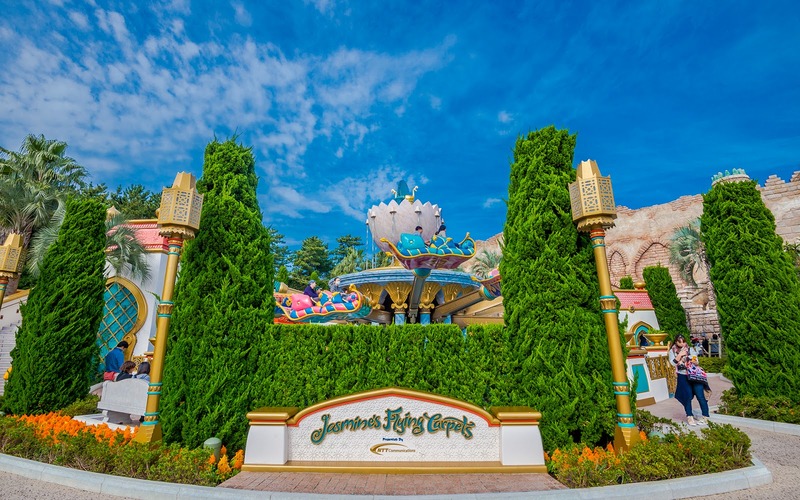 As Exhibit #4251 of Tokyo Disney Sea's commitment to detail and theming, take Jasmine's Flying Carpets. 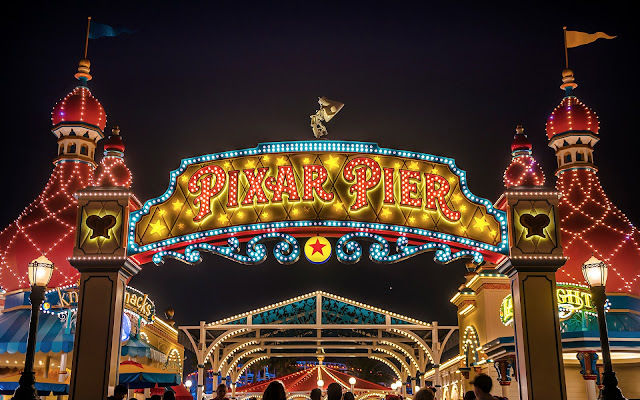 It's a basic spinning attraction with controllable, elevating arms, ala Dumbo the Flying Elephant or any of the spinning rocket ship rides in the Disney Magic Kingdom Parks. 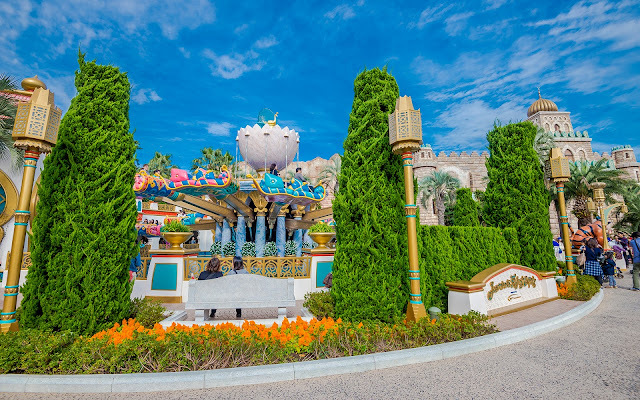 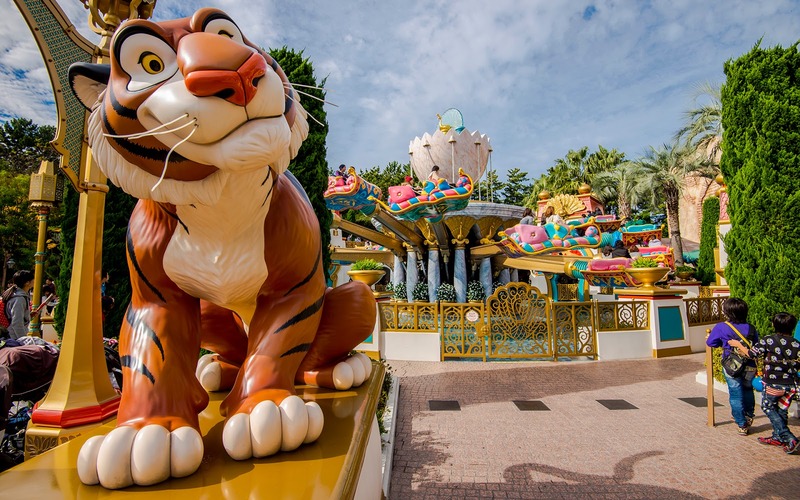 These rides are themed well enough at all the Disney parks, but at Tokyo Disney Sea, they're shrouded in greenery to enforce a sense of oasis in the desert waterfront of the Arabian Coast, and they have intricate fencing detailing, lamps, even a life-size sculpture of Rajah the tiger. Behind the attraction, the facade of Sinbad's Storybook Voyage extends to maintain the ambiance, shaping an almost courtyard space for the attraction. 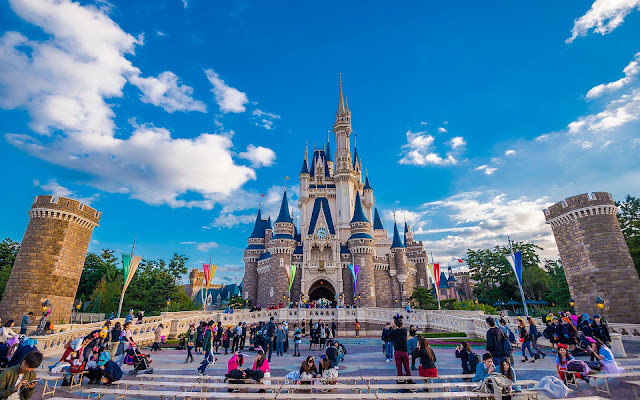 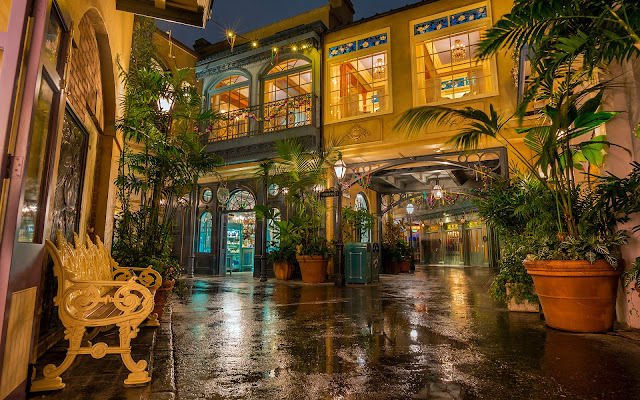 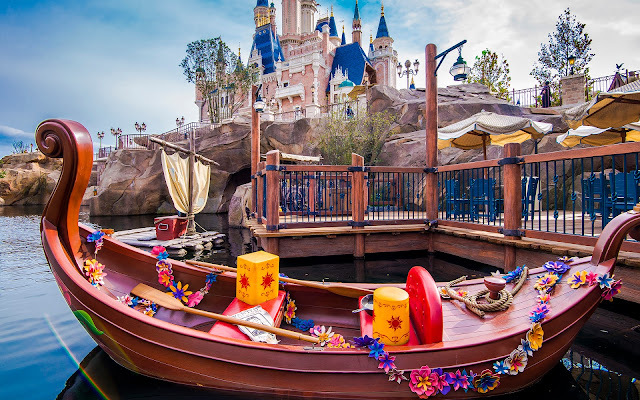 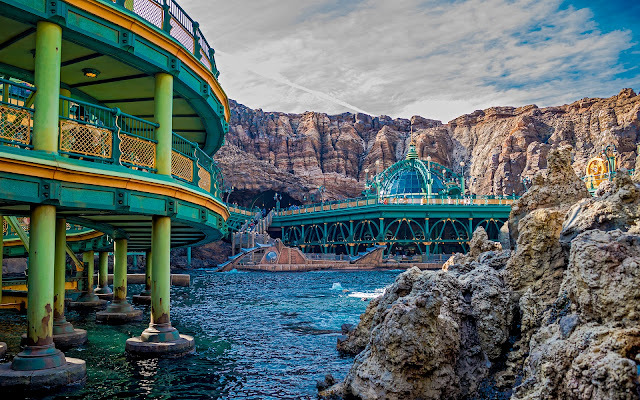 All of this adds to a lush and magnificent environment for a modest ride, but it really reinforces the intimate and deeply encompassing atmosphere that pervades Tokyo Disney Sea!